Mike Harakal, inventor of PawPail, came to HaA to alleviate a problem in his community regarding the control of everyday pet waste. Many community living neighborhoods, like his, require home owners to keep their pet’s waste in their garage until the weekly garbage truck arrives. This is not ideal as the smell can easily build up over time and attract other animals. HaA worked with Mike to turn his ideas for a pet waste management station into a convenient system that is multi-functional and affordable. 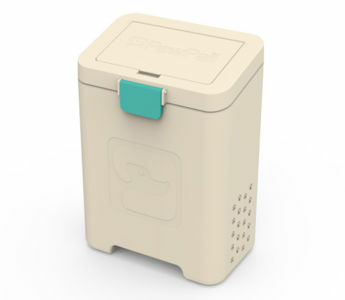 PawPail is a revolutionary container designed to supply you with custom odor fresh bags, discreetly house your dog’s waste in a convenient area and keep your environment clean. When your dog goes to the bathroom, simply open the top lid of PawPail, pull out a scented bag to pick up the waste, open up the main lid where you will find a perforated basket to pop the waste inside. Pawprint perforations are located on each side of the PawPail to properly ventilate your pail to prevent odor build up over time. PawPail was designed to be mounted outside and on your property to provide you with a convenient pet waste cleaning experience. The MSP platform from Big Band/Arris is a series of rack mounted video delivery servers that provide VoIP services. Most on-demand video from all leading cable TV companies is routed through the MSP servers. 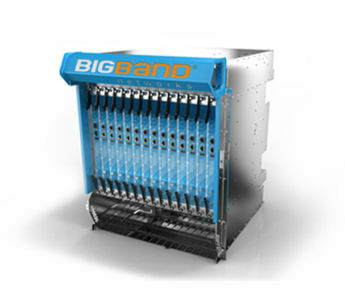 In late 2011, Arris purchased BigBand Networks to expand their media delivery offerings. Arris is a worldwide powerhouse in the telecommunications industry. With their recent purchase of Motorola, Arris became the leader in providing on demand video across the cloud, network and home. 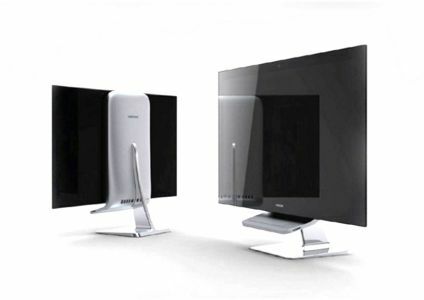 Arris approached the HaA team requesting a new front panel bezel design for their chassis. The bezel needed to provide wire management for the array of cabling that flows into the servers and also to create a uniform branded look across multiple platforms. HaA was also asked to design a switch box for the back of the device which would allow fail-safe switch-over of signals from one server blade to another. The designs needed to be striking and be seen from across data centers. Working closely with the engineering team, HaA presented industry leading aesthetics and incorporated unique features. The designs were quickly prototyped and assembled to the platforms. HaA was able to provide a functional and beautiful design solution without adding much additional manufacturing and assembly cost. To complete the project, HaA provided graphic overlay design to give the server chassis a uniform look. The result is a platform that is friendly to installers and is universally recognized as Arris. Taiwan-based Wistron is one of the largest design manufacturers in the world, specializing in information and communication technology products. Although you may not be as familiar with the Wistron brand, they manufacture 1 in 7 computers sold globally. The company produces a wide variety of products that are sold to international clients, who introduce them to the market under their own brand names. On a quest for their latest product, Wistron collaborated with HaA to develop a brand that would sell in the competitive Chinese market. HaA carried out an ethnographic research program in the major metropolitan areas of China and as a result, the all-in-one desktop concept was born. The Wistron all-in-one PC concept was designed to appeal to three different market segments and to emphasize its powerful hardware capabilities. In turn, our team created three different designs for the all-in-one PC product strategy. As part of the visual strategy our designers wanted to create an aesthetic that was simple, solid and structural. HaA also incorporated subtle Chinese accents in response to the insights from our ethnographic research campaign. The Wistron all-in-one PC key features include 24″ display monitor, upgradable component access and user programmed PUI. The bimodal tram, which has the appearance of two buses linked together, is built with light-weight composite materials and a low-floor articulation allowing easy access for young children, elderly, and the disabled. Utilizing a CNG hybrid system the bus steers automatically and has the option of manual steering when necessary. In addition to being easy to operate, the CNG hybrid system eases some of the social problems – less noise and air pollution in the city. 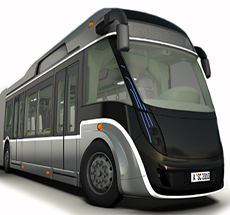 The bimodal tram was honored at the International Exposition Yeosu Korea 2012 for its use of green technologies and alternative fuels to prevent global warming. MOLIT – Ministry of Land, Transport And Maritime Affairs is a cabinet level division of the government of South Korea. It manages all forms of public transportation including Land, Sea and Rail. With Seoul growing from 8 to 25 million witnin the last 20 years. South Korea has been very focused on expanding their public transportation systems. Many public transit stops board over 100,000 people per day. With street traffic beyond its limits, the Ministry of Land, Transport and Maritime Affairs began exploring alternative methods of transportation that would not only improve, but optimize public transportation. HaA was tasked with the industrial design and the overall UX. Our focus was an aerodynamic industrial design and the efficiency of the entering and existing of passengers. The HaA Taiwan team joined this multifaceted project to develop the exterior and interior designs. In 1995 GS Home Shopping Network (GSHS) was the first ever television-based home shopping network. GSHS introduced a cutting-edge distribution channel that integrated broadcasting with retail. They were also the first to computerize sales systems, enabling real-time monitoring of customer response which then raised the quality of product selection and program. Today, GSHS has been expanded to include China, India, Thailand and Vietnam. Klöken is part of the GS Home Shopping Network. They needed and wanted a quality brand with a European flair that was designed for the Korean market. This design endeavor was one part of a multiple product branding effort in the categories of water purification, cooking, and food storage. 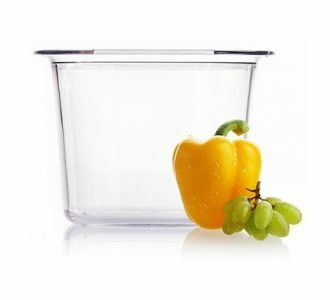 Klöken is a 100% air-tight food container focusing primarily on the Asian food culture. In response to glass construction, we chose to employ Tritan™ for its higher visual clarity, durability, and lower weight properties. Another benefit of Tritan™ is that it is manufactured without bisphenol-A (BPA). Tritan™ is also both heat and chemical resistant. This is especially important in cultures that eat and preserve items such as kimchi daily. From a use and aesthetic perspective, “preservation meets presentation” was our driving goal. Klöken attempts to bridge the gap of serving and storing by addressing both worlds at once.